Throughout various blogs we have suggested that a predictor of later alcohol, drug and behavioural abuse is impaired emotion processing and regulation deficits in certain “vulnerable” individuals. As a result of stating that this emotion dysfunction is at the core of addictive behaviour or is part of a pathomechanism that drives addictive behaviours, we also logically suggest that addressing or “treating” these emotion dysfunctions prior to or at the start of problematic use or problematic behaviours may act as a successful intervention to later and more chronic problems and also that it may be possible to identify those vulnerable or at risk to later addictive behaviours by measuring and evaluating the level of emotional awareness in those at risk and then taking steps via mainly educational means to act in a preventative manner to reduce the risk of later addictive behaviours. In this paper (1) the author looks at this emotion dysfunction in a wider sense as deficits in emotional intelligence. These are interlinked to our ideas on emotion dysfunction. We agree with the author that emotional intelligence not only predicts later problems with addictive behaviours but that society via educational and therapeutic means has the possibility to reduce some of the risk by developing emotional intelligence in those vulnerable and who lack in these most essential skills. We believe that research and treatment (and education) providers need to consider the possibility that addressing and helping develop these emotional intelligence skills may not only have profound effect on life and general well being but may help with reducing the risk of later addictive behaviours. We do also suggest however, that certain emotion dysfunction is made more severe via persistent child maltreatment. For a subgroup of vulnerable adolescents it may not be completely effective as a stand alone strategy as some who may require more deep and intensive psycho-analytic work as we also believe negative self schemata created via insecure attachment and co-dependency may need supplementary treatment. How this is provided becomes the issue as it may be more difficult to arrange and provide via educational establishments. “…intervention programs aimed at high risk populations identified occurs after the maladaptive behavioral delinquency has occurred, and only then is an individual afforded the opportunity to join an intervention program. The focus of this paper is to illustrate and highlight the value of prevention programs which emphasize altering maladaptive behavior before the behavior becomes problematic. Emotional Intelligence is not only an indicator of alcohol and other drug abuse, but is linked to emotional competence, social and emotional learning, the development of healthy and life promoting behavior, and has been proven to reduce some of the risk factors associated with alcohol and other drug abuse in adolescents and adults. 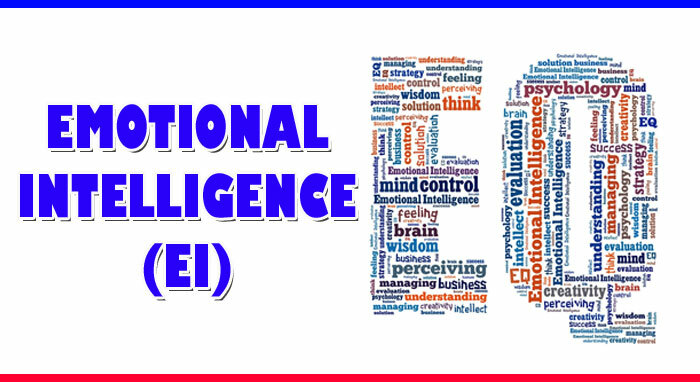 This paper seeks to recognize the significance of Emotional Intelligence as a…use in a prevention based model for reducing associated high risk behaviors. …There is an ongoing recognition which has increased over the recent years, of the importance of individual skill building in the areas of decision making, problem solving and communication as part of school health-based prevention programs aimed at reducing high-risk health behaviors. Daniel Goleman in his book on emotional intelligence also reveals ways in which high-risk behavior prevention may prove useful to reduce the high rates . The value of such individual’ EI skill-building as prevention tools has seen itself best utilized in the field of education, whereby teachers and educators have the potential to build a cadre of knowledgeable, responsible, caring, nonviolent, healthy individuals with thoughtful sustained and systematic attention to the social and emotional life of children and youth [9,15]. Emotional competence and social emotional learning both reinforce and support efforts to prevent alcohol and other drug use, violence, and other problem behaviors that traditionally serve as barriers to learning as well as conduits to the promotion of high-risk behaviors. EI has been identified to be of significant importance in AOD problems with adolescents and adults. The following constitute the empirical evidence linking EI to AOD. Firstly, the lack of EI has been identified and documented as a potential indicator of AOD abuse in adolescents and adults. A study conducted at the University of New England in Australia revealed that a person’s score on a test of EI predicted their potential problems with alcohol and other drugs .. Lower EI scores were correlated with poor coping strategies, and a person’s poor coping strategies in turn predicted one’s ability to involve themselves in AOD problems. However, coping strategies contributed very minutely as a mediator variable, while other main attributes of EI such as motivation, self regulation, self awareness and social skills were major mediators for the predicted outcome of AOD problems. As a result, ones ability to accurately express, perceive, recognize and regulate emotional expressions was a predictor of whether the person had alcohol and other substance or drug abuse. EI has been shown to reduce an adolescent’s intentions of smoking and ultimately inhibit the behavior that causes the act of smoking . The study also revealed that adolescents, who had a high degree of hostility or aggressiveness, were more likely to have lower EI, and were more likely to smoke. Also, adolescents who had a lower level of ability to refuse a cigarette from someone they had just met, was correlated with low EI. Hence, EI acts as an indicator of potential drug use and having a high degree of EI is associated with healthy life promoting behaviors which make it a great skill to adopt. Also, EI has been proven to enlighten and motivate change in delinquent AOD behaviors of a group of adolescents. A community intervention program conducted by a research group in Miami, Florida examined the effect of AOD in juvenile offenders and the study demonstrated that a motivational cognitive behavioral intervention program which focused on all of the EI attributes discussed here, namely, self-awareness, self-regulation, motivation, empathy, and social skills, guided self-change in these adolescents that were being treated for AOD problems, providing yet another compelling reason for its health promotion effects . Thirdly, EI has been linked to the reduction in the risk factors that have been traditionally associated with AOD in adolescents and adults. One major risk factor that has been associated with the development of alcohol use, abuse, and continuity of use contributing to relapse of the condition of alcoholism is stress . An increase in stress is a major contributor to the onset of AOD use in adolescents and adults. According to a study conducted by the psychology department of Nottingham Trent University in the United Kingdom, a high degree of EI was associated with lower stress levels and fewer psychological symptoms pertaining to traumatic experiences . Another study revealed that students scoring high on a test of EI were better equipped to deal with and recover from stress and hence were less likely to fall sick or be vulnerable to the conditions brought upon by stress . As a result, developing EI skills serves as a protective force, lowering one’s susceptible risk to the factors that have traditionally predicted AOD use and abuse. According to Goleman, EI’s multidimensional construct is a contribution of five dimensions; self-awareness, self-regulation, motivation, empathy and social skill . A summary of definitions and applications to adolescent and adult AOD prevention are provided in Table 1. The dimension of self-awareness provides an individual with the ability to recognize and understand one’s own moods, emotions, and drives as well as their effect on others. An individual high in self-awareness is more likely to be attuned to their family values, to be able to speak clearly, accurately and more objective about their emotions and the impact they have on academic performance, family life and social support which ultimately assist in dealing with AOD problems. Research studies demonstrate that low bonding, conflict with family and academic failure contribute to the individual and interpersonal factors predicting early onset of drug use . Self-aware adolescents and adults are comfortable talking about their limitations and strengths in these regards and exude a high degree of self confidence when making decisions about family issues, peer pressure and drug use since they are highly aware of the condition and capabilities for improvement and are less likely to set themselves up for failure. The dimension of self-regulation provides the person with the ability to control or redirect disruptive impulses and moods or the propensity to suspend judgment in order to think before acting. Adolescents and adults high in self regulation are better able to create an environment of trust, integrity, and fairness with themselves, the people around them, their family, and newly found social support groups that help regulate AOD abuse thereby reduces miscommunication and increases productivity in the relationship. Association with drug-using peers, poor impulse control and early and persistent problematic behaviors have been shown to predict AOD abuse in adolescents and adults . Hence, those exuding a high sense of trust and respect know when to step away when in an argument with a friend, family member, and drug or alcohol user. Also, self regulation also provides the adolescent and other adults with constructive skills to dynamically change approaches to better serve their growing personal needs and to learn to be open to making changes in life with limited drug use, or methadone maintenance treatment. The dimension of motivation provides the person with a passion to work for more than materialistic reasons and to work for the propensity to pursue goals with energy and persistence. Adolescents and adults high in this kind of motivation exude an increased level of energy and optimism, passion for their work by seeking out frequent challenges, being a constant lifelong learner, and taking great pride in a high-level performance. Motivation provides the best environment for adolescents and other adults to reduce or cease use of drugs or disclose problems to family and support groups even in the face of numerous challenges. Alcohol and drug behavior problems and attitudes existing within the family have been shown to correlate with high potential for drug abuse in adolescents and adults . Motivated adolescent and adults are more likely to be optimistic even when there are low hopes of success and are more likely to go beyond the call of duty even if it means trying to convince their peers and/or family members to cease AOD use and abuse leading to the potential cessation of the use of AOD. The dimension of empathy provides the adolescent and adult with the ability to understand the emotional makeup of others and provides the skills in treating others around them according to their emotional reaction. A person with a high degree of empathy use the information about their families, friends, or social support group’s feelings in order to be more intuitively receptive to the way they feel. They are more likely to be able to identify with others better, understand what they are going through, and be more sensitive to friends or family members who are emotionally & physically affected by AOD abuse. Since individuals with a high level of empathy are more likely to be compassionate when dealing with others in their life that might provoke them to be angry or aggressive. The dimension of social skills provide the individual with the ability to manage effective relationship patterns and behaviors and build networks with the ability to find common ground and build rapport with family, friends and peer groups. This skill also provides a means to be effective in forming bonds with family members and close friends who do not use AOD. Also, the formation of effective family bonds and therapeutic peer support groups have been documented as protective factors for AOD problems in adolescents and adults later in life . Hence, this dimensional attribute is an outcome of all the dimensions of EI and has a direct influence on use of EI in AOD related problems in adolescents and adults, thereby influencing overall health outcomes. Each of these dimensions give meaning to EI and provide the foundational groundwork in the process of defining EI. More importantly, the five dimensions afford us the means to objectively use EI as a measure of adolescent and adult ability to actively cope and deal with AOD abuse and to be able to use this information to improve health outcomes. It is clear that EI is a significant and desirable health promoting attribute and its conceptual use in a prevention based model for reducing high risk behaviors associated with adolescent and adult AOD abuse is the need of the hour. Even though the implications of EI in prevention efforts for adolescent and adult AOD abuse is clear, it is important to understand and acknowledge the need for more work in order to create effective prevention programs which focus on identifying maladaptive behaviors which encourage AOD abuse and curb these behaviors as early as possible. Firstly, developing more accurate means of measuring EI, emotional competence in adolescents and adults is necessary in order to be able to proactively identify risk groups for potential AOD use problems and prospective abuse potential. …accurate and objective EI test measures need to become a part of the mainstream middle and high school testing procedures and also at the adult workplace in order to assess for high risk potential of AOD use and abuse. Lastly, risk-specific group based EI prevention programs should be implemented in school and workplace environments with a focus on the five dimensions, of the multidimensional construct in the hope of ultimately discouraging health compromising behaviors, preventing prospective AOD abuse in adolescents and adults. Emotional intelligence applications to AOD prevention. Self-awareness The ability to recognize and understand one’s own moods, emotions, and drives as well as their effect on others. (1) Confidently making decisions about family issues, peer pressure and drug use. (3) Recognizing the effect of frequent drug use on family life, academic performance and social support. Self-regulation The ability to control or redirect disruptive impulses and moods or the propensity to suspend judgment in order to think before acting. (1) Knowing when to step away during an argument with a friend, family member, and drug or alcohol user. (2) Learning to be open to making changes in life with limited drug use or methadone drug replacement or maintenance treatment. (3) Developing a sense of trust and integrity with oneself, family and newly found social support group that help deal with regulating drug use. Motivation A passion to work for reasons that go beyond money or status or a propensity to pursue goals with energy and persistence. (1) Providing the best environment to reduce or cease use of drugs or disclose problems to family and support groups even in the face of numerous challenges. (2) Going beyond the call of duty even if it means trying to convince peers to cease AOD use. (3) Being optimistic even when there are low hopes of success. Empathy The ability to understand the emotional makeup of other people or the skills in treating people according to their emotional reactions. (1) Being understanding and inclusive in thinking of the family’s perspective when making decisions. (2) Being compassionate when dealing with other people in your life that might provoke you to be angry or aggressive. (3) Being sensitive to other friends or family members who are emotionally and physically affected by your AOD use. Social-skill Proficiency in managing relationships and building networks or the ability to find common ground and build rapport. (1) Being effective in forming bonds with family members and close friends who do not use AOD. (2) Being an effective member of a social support group and friends that help focus on curbing AOD abuse.